Business InsiderBusiness Insider’s fake goods haul from Facebook. Facebook is struggling to keep fake products off Marketplace, its two-year-old listings service that allows anyone over the age of 18 to buy and sell goods. Business Insider bought a fake Rolex watch, Gucci bag, and Tiffany bracelet from illegal UK sellers, who didn’t declare the items as counterfeit. We found there are minimal rules and protections in place for users, with unscrupulous sellers attempting to secure our personal information and bank details. 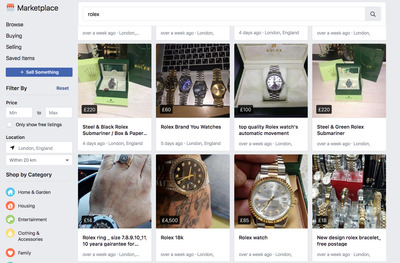 A detective at the UK’s intellectual property policing unit said buyers of fake goods on Facebook might be financing serious organised crime. Facebook told BI it takes counterfeit issues seriously and uses machine learning to detect fake items, and will ask some sellers selling luxury brands for identification. 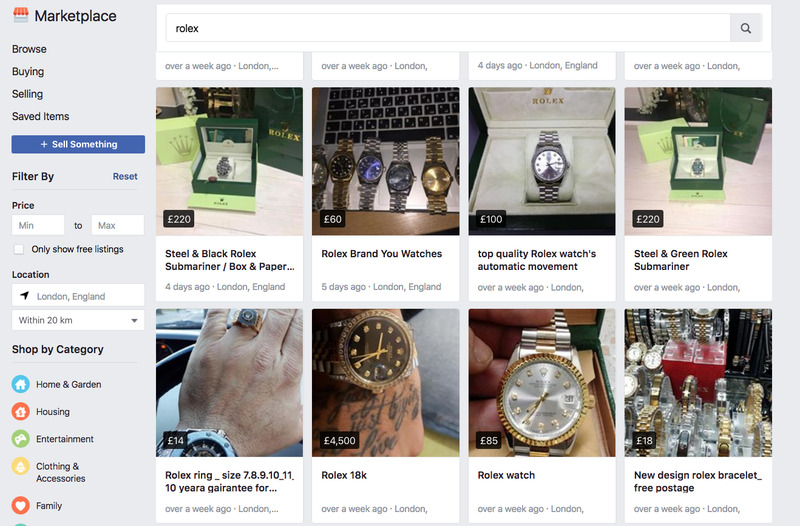 Facebook has a major problem with scammers and fake designer goods on its popular Marketplace platform, contributing to a global counterfeiting industry that is worth an estimated half a trillion dollars a year, or around £358 billion. Marketplace lets users buy and sell almost anything they want on Facebook. 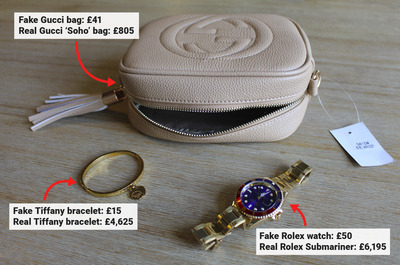 A Business Insider investigation found that it was easy to buy illegal knock-off luxury goods, including a fake Rolex watch, Gucci bag, and Tiffany bracelet for £50 ($US70) or less. None were flagged as fake, and the genuine articles can cost thousands of pounds. Facebook has little protection in place for users who knowingly or unknowingly buy fake goods through its platform. Users don’t pay for items through Marketplace itself, and Facebook never handles a payment. Instead, you deal directly with the seller. Business Insider found sellers who asked for phone numbers or bank details to carry out transactions – something which UK police warned could lead to identity theft. We talked to around 30 sellers, most of whom were operating independently. In one case, a seller ran an entire online shop selling fake Tiffany bracelets. Facebook does have policies against selling or advertising counterfeit goods on its platform, but the company evidently can’t keep up with the plethora of fakes popping up on Marketplace. When Business Insider highlighted the issue to Facebook, the firm said it vets new listings for counterfeit goods and is using machine learning to try and identify fakes. It has also started asking some sellers who sell branded goods for identification. The company relies on users and luxury brands to file counterfeit forms if they spot fake goods, report policy violations and, in the case of brands, proactively search listings for rip-offs. After we flagged the seller who ran a counterfeit goods shop online to Facebook, the firm temporarily suspended that seller’s account. Rolex and Gucci declined to comment. Tiffany & Co’s Chief Compliance and Privacy Officer Ewa Abrams said Facebook has removed thousands of fake Tiffany postings in the past year. Facebook’s fakes marketplace is massive: In the first six months of 2017, the company removed more than 200,000 posts relating to counterfeit goods, according to a transparency report released in December. This is the first Facebook report which included counterfeit goods, making it difficult to see whether the problem has deteriorated since Marketplace first launched in 2016. The sale of fake goods affects all the biggest e-commerce platforms, including Amazon and Ebay, though neither disclose statistics. But crucially, both have dedicated anti-counterfeiting programs in place that appear more robust than Facebook’s. Facebook Marketplace is a little like going to the community noticeboard, seeing what’s on offer, and then ringing up a seller directly to buy their goods. It’s comparable to local classifieds service Craigslist. You can search for almost anything on Marketplace – from bedding to food to a new phone. 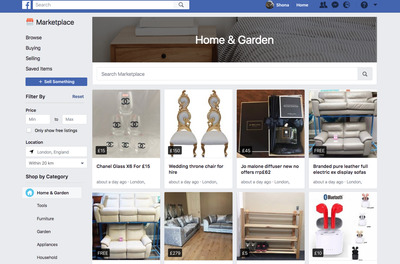 Once you’ve searched through the listings and found what you want, Facebook allows you to contact the seller directly through its Messenger service. After that, you’re pretty much on your own. From then on, you sort out how you’d like to pay – bank transfer, PayPal, cash in hand – directly with the seller, and whether you’d like to collect the item yourself or have it posted to you. Facebook has brief safety instructions advising buyers to take a friend for any in-person purchases. It also gives some guidance on avoiding fake goods but the language makes it clear that it’s the seller and you, the buyer, who are responsible for checking what you buy – not Facebook. Facebook has never revealed how much it makes from Marketplace, but the service has the potential to become big business.During the firm’s full-year 2017 investor call, CEO Mark Zuckerberg said more than 700 million people buy and sell items on Facebook, while COO Sheryl Sandberg said the firm was testing ads to make money from the service. Last August, the firm revealed that US users placed 18 million items on sale on Marketplace in May alone. And if Facebook decided to bring Marketplace payments in-house, one estimate pegs potential annual revenue at $US5 billion (£3.6 billion). Because Facebook doesn’t take responsibility for payments, and Marketplace is only open to individuals and not businesses, buyers don’t have much by way of consumer rights. 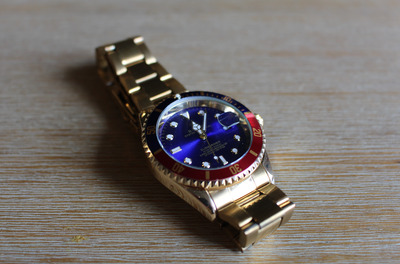 Although you have the legal right not to be tricked into buying fake goods, you would have to resolve any disputes with the seller directly or through the courts under UK laws, according to the consumer magazine Which. Facebook does not, and currently cannot, offer you any recourse if you are ripped off. “Making sure people have a safe and positive experience on Facebook is our top priority, which is why we are constantly working to improve enforcement of our Commerce Policies. “We take counterfeit issues very seriously, and our terms prohibit people from posting content that violates third-parties’ intellectual property rights. We built a variety of tools like our Commerce & Ads IP Tool to help rights owners protect their IP rights on Facebook, and we are continually improving how we address IP infringement to keep infringing content off of our platform. But despite Facebook’s best intentions, it doesn’t take long to run into sellers making money out fake goods on Marketplace. Business Insider picked three of the most counterfeited brands in luxury – Rolex, Gucci, and Tiffany – and found a large number of fakes being sold at a fraction of the price of the real thing. Business Insider initially set out to buy one of the most counterfeited items in the world: A Rolex watch. There are plenty of fakes on Facebook Marketplace, although actually buying one was surprisingly difficult. 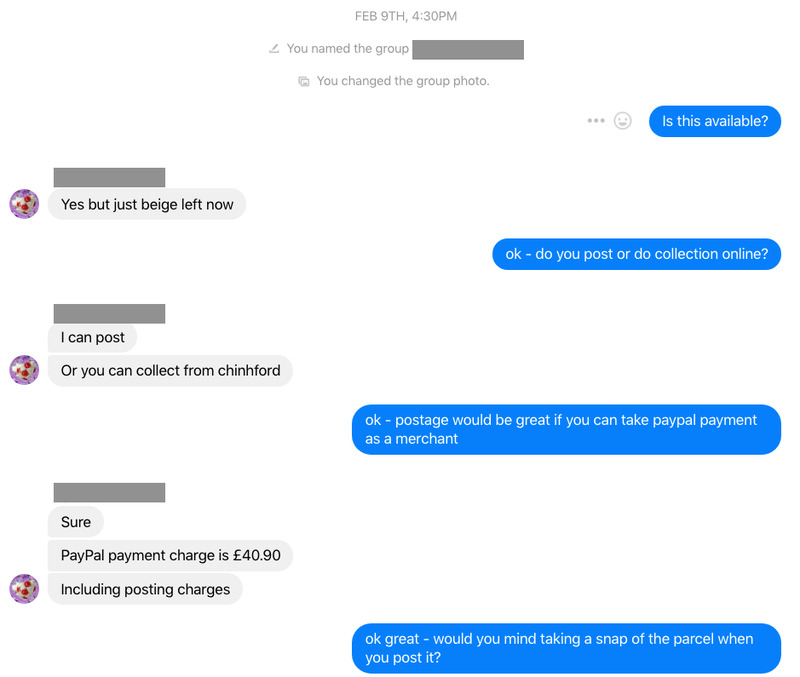 It was tough to find a seller who agreed to take a refundable and trackable PayPal payment, who would post the item, or who was based in London for a pick-up. It was also hard to find someone who wasn’t selling an obviously fake watch for less than our budget of £75. We started out simply by searching for “Rolex” on Facebook Marketplace. We found the top listings were full of grammatical errors, poor quality photos, and what appeared to be plasticky-looking fakes. One listing showed a £4,500 Rolex where the seller claimed to have “lost” the accompanying certification papers and box. Eventually, we found someone willing to take a trackable PayPal payment, and who would send us a photo of the package as proof of postage. After messaging the seller, the process was reasonably straightforward. We sent our address to the seller, a PayPal payment, and a few days later the fake Rolex turned up in a padded brown envelope. Shona Ghosh/Business InsiderThe fake Rolex. The entire buying process should make you suspicious that you aren’t buying a real Rolex, according to Joseph McKenzie, founder of independent pre-owned luxury goods seller Xupes. Xupes does not directly compete with Marketplace, but does offer a way for people to buy and sell designer handbags, watches, and jewellery. The seller never offered a Rolex box or accompanying certification for the knock-off we purchased – the first clear sign of a fake. And our £50 ($US70) watch had some obvious flaws, which McKenzie identified within seconds of picking up our timepiece. Even the Marketplace listings with Rolex-like pricetags of several thousand pounds might just be advertising “Frankenwatches” – sophisticated knock-offs that contain some genuine parts, he said. In the video below, you can watch McKenzie comparing the dud watch to a £6,195 (£8,663) Rolex Submariner and a £17,295 Rolex GMT-Master II. It took less than an hour for Business Insider to find and buy this fake Gucci handbag for £41 ($US57). It’s a clear imitation of Gucci’s real “Soho” disco bag, which sells through online retailers for £805 ($US1,190). At no point was there any indication that the bag was counterfeit. Nor did the seller offer any kind of guarantees. 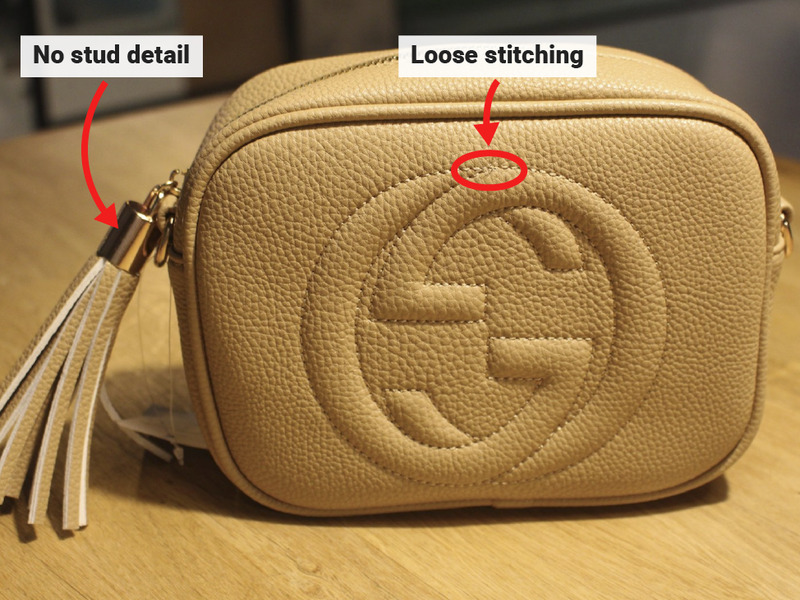 Business InsiderThe original listing for the fake Gucci bag, with the seller’s details blanked out. There are some obvious differences between the genuine article and the fake. The real bag is a classy tan colour, unlike the flesh-coloured knock-off. The fake version doesn’t have extra detail like studding on the metalwork and, if you look closely, there is some loose stitching on the Gucci logo. And probably the biggest giveaway was the cardboard label attached to the bag, which featured Chinese lettering and described the bag as “apricot,” whereas Gucci describes its version as “rose beige.” China happens to be the world’s factory for counterfeit goods. Victoire Boyer Chammard, head of authentication at luxury resale site Vestiaire Collective, said there are some obvious features to look for in a fake designer bag. Vestiaire Collective competes with Facebook Marketplace in that people can buy second-hand luxury goods via its site, though the company says conducts quality control checks on items. “First of all look at the general aspects: Shape, proportion and posture. A real bag typically takes on a strong structure,” Chammard told Business Insider. “Then check the quality of the material the bag is made from – it helps to have an understanding of how good quality material should look, feel and smell in order to compare accurately. The seller in this instance was quick to nail down the deal, simply passing over their PayPal payment deals, requesting Business Insider’s address, and sending a photo of the package. Business InsiderBusiness Insider’s exchange with a counterfeit goods seller. Business Insider’s final purchase was a fake Tiffany & Co bracelet, which didn’t appear to be based on any particular original design. The fake was made of cheap, gold-coloured metal rather than genuine precious metal, and the engraving featured the incorrect font, rather than Tiffany custom lettering. The closest equivalent Business Insider could find on Tiffany’s website cost £4,625 ($US6,464). Our knock-off bracelet was £15 ($US21) and arrived in a cheap brown envelope. Tiffany & Co’s Chief Compliance and Privacy Officer Ewa Abrams said Facebook has a problem. “Tiffany & Co. rigorously enforces our trademarks to protect our customers and the strength of our brand, including robust efforts that target both physical and digital infringements. On Facebook, more than 2,000 counterfeit Tiffany listings have been taken down since the beginning of 2017,” she told Business Insider. The most alarming aspect of Facebook Marketplace was how unsafe it was for a buyer. Despite Facebook’s safety tips, there’s little advice on the best way to pay, or how to keep your information safe. The Facebook Marketplace tab also does not directly link to Facebook’s help pages. Facebook only suggests that PayPal or cash are “good options” and that anyone paying in person should take a friend. For safety and practical purposes, Business Insider arranged PayPal payments, and for sellers to post us the fake goods. Of the 30 sellers we contacted, five asked us to send money via PayPal’s Friends and Family feature. This was to avoid the fee PayPal charges if you are buying goods or services. But there’s a catch for those who agree. 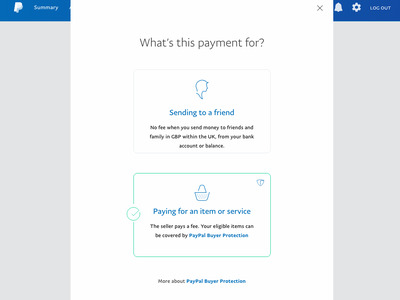 Marketplace users who pay for items using PayPal’s normal service are protected by PayPal’s Buyer Protection program, meaning you can get your money back if the item isn’t as advertised, or doesn’t turn up. Paying through Friends and Family waives that protection – meaning unscrupulous sellers could take your money and never post you anything. A PayPal spokeswoman confirmed that Friends and Family payments do not come with buyer protection and explicitly warned against buying goods and services through the mechanism. Business Insider refused to pay several sellers through Friends and Family, and that led to some transactions falling through. In one case, a seller asked to move the conversation off Facebook and onto WhatsApp – meaning buyers would have to give away their phone numbers. And in another instance, a seller requested a bank transfer. Again, there’s no way of getting your money back from a bank transfer, according to the consumer magazine Which. Business InsiderConversations with 3 Facebook Marketplace sellers about paying for items. According to the Organisation for Economic Co-operation and Development, the international economic policy organisation, most of the proceeds from buying fake goods goes towards organised crime. 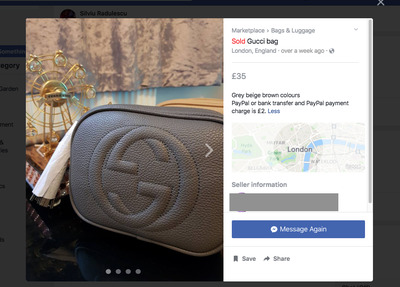 Even buying a knock-off Gucci bag from someone in east London through Facebook Marketplace might be contributing to the issue, according to Nick Court a detective inspector at the Police Intellectual Property Crime Unit (PIPCU). In other words, even a small-time fake goods seller might be a front for something more sinister. Court added that handing over payment details online was very risky and might lead to identity theft. “Using PayPal isn’t foolproof, but it is a lot safer than giving your bank details or card details. That goes straight to people you know are suspected criminals,” he said. This isn’t the first time buyers have spotted dodgy goods being sold on Marketplace. When the service first launched in 2016, buyers found guns, drugs, and adult services for sale. At the time, Facebook blamed the problem on a technical glitch which meant the illicit goods got past its review processes. And there have been several investigations into buyers selling fake goods, suggesting Facebook isn’t moving quickly enough to tackle the problem. According to an annual government report into intellectual property crime, social media has overtaken auction sites like eBay as the go-to place for criminals to sell knock-offs. Last November, UK Trading Standards called out Facebook for not doing enough to crack down on the sale of fake goods in the run-up to Christmas. National Trading Standards told Business Insider that it was reliant on the public reporting fakes. The organisation estimated 78 complaints for fake goods being sold on Facebook, but said the problem was under-reported. Andrews told Business Insider: “Criminals are increasingly using social media platforms to sell fake designer goods. Counterfeit products leave consumers out of pocket and can sometimes be dangerous. Facebook told Business Insider it ran a robust notice-and-takedown program, with a dedicated team that operated in several languages. It isn’t just Facebook. Fake goods are a big enough issue for Amazon that the firm expanded its anti-counterfeiting “Transparency” program to third parties who were being ripped off, according to Digiday. The “Transparency” program tells buyers where their product comes from, with details such as the manufacturing date. And eBay has a program called “VeRO” for brands who want to report knock-offs directly. It also has an “Authenticate” service, which verifies bags from certain luxury designers such as Gucci and Chanel. Detective Nick Court said: “Different marketplaces are reacting differently to PIPCU, and we’re trying to encourage and help them to change things.